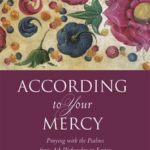 New for 2017, this book brings deep teaching as well as the personal encounter of an author who has chanted and studied the Psalms for years. Each reflection is on one psalm, offering a meditation on its meaning and how it connects to our lives, followed by a word from one of the ancient church fathers and a prayer. There is a reflection for each of the forty-seven days from Ash Wednesday to Easter that reflect the various twists and turns on the Lenten journey. While not specifically for Lent, this book explores the absolute centrality of Christ in the prayer life of any Christian. 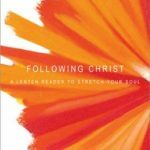 The end result is a comprehensive confession of his faith and testimony to the many “names of Christ” that cross through historical, monastic, and mystical traditions. 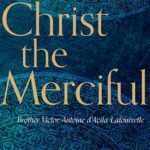 Keeping true to the hope for a unified Church, Christ the Merciful incorporates both Western and Eastern Orthodox sources. Scholars, clergy, and lay religious alike will be inspired and informed by Brother Victor-Antoine’s ability to present difficult concepts in a clear, straightforward manner, informed by years of monastic practice. Lent is a time of new life and fresh beginnings. In this unique daily reader for the season of Lent, short readings from extraordinary Christians will open windows on your spiritual life, allowing fresh air to burst in. You’ll find the life-changing wisdom of Francis of Assisi, Hildegard of Bingen, Thomas a Kempis, Richard Rolle, Benedict of Nursia, Julian of Norwich, Catherine of Siena, Teresa of Avila, the Desert Fathers and Mothers, and others. Because each was a person of fervent life and passionate prayer, their words reveal how our waiting on God, and seeking God’s will, lead to a life of meaning and joy. An invitation for children to wonder about the Lenten story. 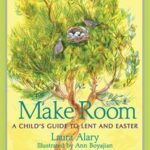 This unique book teaches children to experience Lent with all their senses, and to see it as a special time for creating a welcoming space for God. Simple activities like cleaning a room, making bread and soup, and inviting a neighbor for supper become acts of justice and kindness, part of a life of following Christ, and a way to make room for God in our lives and in the world around us. Gregorian Chant has the unique ability to draw the listener into the heart of the Scripture, and here is a window into the ancient understanding of Lent in which repentance is seen in the context of returning to a merciful and loving God. That same point makes these chants not only relevant, but necessary for today. 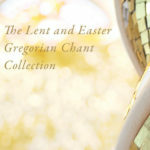 This special CD set contains the following: Christ in Gethsemane; Maundy Thursday; I Am With You; Tenebrae of Good Friday; Eastertide; Chants of Easter; Easter. The Psalms of David have been a deep well of spiritual nourishment for thousands of years — no other set of texts embodies the wide range of human emotion and conversation between man and God. Drawing from the Coverdale translation and sung in English, these settings highlight the meditative and transparent beauty of the Psalms. 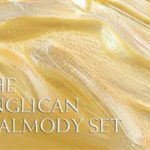 This set includes three CDs, and a total of 61 psalms and each CD booklet includes devotionals on every psalm. 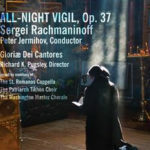 This piece draws from fifteen psalms and hymns that are the framework of the Resurrectional All-Night Vigil (the three-hour service celebrated in Russian churches each Saturday night). This service includes Vespers, Matins and First Hour. While Vespers highlights themes of Creation and Light, the Matins section emphasizes the Resurrection of Christ which makes Rachmaninoff’s All-Night Vigil a wonderful preparation for the Easter season or an Easter gift.